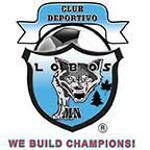 We are a soccer club ran by volunteers. We are focused on providing youth of any level the opportunity to play by significantly reducing the fees associated with participation. We currently have 150+ athletes who participate in recreational and competitive play, including premier level. We are determined to provide players the fundamentals to be successful in the sport of soccer, but also the discipline and structure for what they choose to be in life. Since we are all volunteers we can assure you that what we do, we do it for the passion of developing the great leaders of tomorrow. Come join our passion for youth development!